At the start of 2015, Israel’s two major fronts – home to the two hostile players with which Israel has had military encounters in recent months – were calm. The war against Hamas in the Gaza Strip in the summer of 2014 and the mutual attacks between Israel and Hezbollah in January 2015 seem to be at a standstill and have not been renewed. Nevertheless, a clash between Israel and Hamas in Gaza and one between Israel and Hezbollah in southern Syria seem possible in the foreseeable future. Only a change in the strategic reality in Gaza and southern Syria, as the result of a political initiative, a change in the regional balance of power, or any other major shift, may be able to divert the players off their collision course. At the start of 2015, Israel’s two major fronts – home to the two hostile players with which Israel has had military encounters in recent months – were calm. The war against Hamas in the Gaza Strip in the summer of 2014 and the mutual attacks between Israel and Hezbollah in January 2015 seem to be at a standstill and have not been renewed. Based on an analysis of the map of interests, neither Israel, nor Hamas or Hezbollah has any desire to begin a new round of fighting at the moment. But an attempt to map the forces operating and affecting the players’ strategic considerations, especially the public discourse in the Gaza Strip, Egypt and Syria, as reflected in the social media, indicates that if current trends continue on both fronts, a confrontation in the foreseeable future is inevitable, despite the sides’ collective lack of desire to engage in fighting. Given this, we must ask how Israel comes to find itself in a paradoxical situation: on the one hand, the two resistance organizations lack both the desire and public legitimacy to start a war that Israel doesn’t want either, but on the other hand an analysis of events and trends in the Gaza Strip and southern Syria points to the assessment that a military confrontation on both fronts is virtually inevitable in the foreseeable future. Why, then, if all three players, currently sharing the same interest and lacking any desire for war, are they on the brink of the next round of violence? To understand the political reality in the Gaza Strip, it is necessary to focus on two key aspects affecting Hamas. The first and most influential factor is Egypt’s policy shaped under the regime of President Abdel Fattah el-Sisi. Egypt sees the Muslim Brotherhood and Hamas as threats to its stability; when el-Sisi was elected president of Egypt, he announced that there would be no such thing as the Muslim Brotherhood during his term in office. This vision was enforced from his first days as president and consistently ever since; in fact, enforcement grew even stricter after the wave of attacks perpetrated in January 2015 in the Sinai Peninsula in which more than 30 Egyptian soldiers, officers and civilians was killed by militants from the ISIS-affiliated Wilayat Sinai (Province of Sinai) militant group. After the series of events in Sinai and despite the lack of any direct connection to the Muslim Brotherhood, the Egyptian regime accused the latter of violence and claimed that the military wing of Hamas participated in the attacks and that some of the weapons used had been traced to the Gaza Strip. 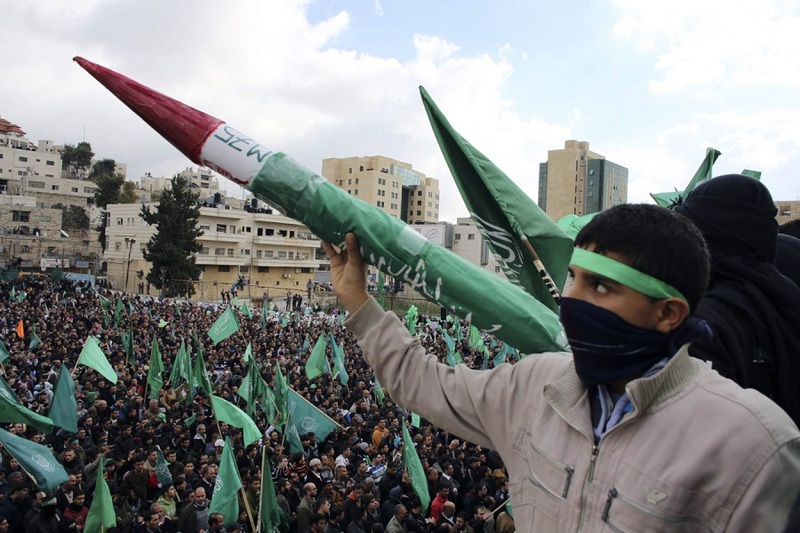 Recently, a court in Cairo banned the al-Qassam Brigades, Hamas’s armed wing, and listed it as a terrorist organization. Concurrently, there is much anti-Hamas media and public pressure: the Egyptian television channels, for example, are explicitly urging el-Sisi to eradicate Hamas, even if this means harming Gaza. All of this adds to the underlying enmity between Cairo and the Gaza regime and underscores the prevalent assessments on the social media according to which Egypt under el-Sisi does not want to see Gaza, post-Operation Protective Edge, reconstructed on Hamas’s watch. Moreover, the discourse on social media suggests that, as far as Egypt is concerned, Israel did not “finish the job,” as Egypt wants to see the Hamas regime crushed. The other and less influential factor pushing Hamas into a corner is the internal balance of power vis-à-vis the Palestinian Authority. For now, the reconciliation agreement between the West Bank and the Gaza Strip has yet to be implemented, rendering the PA’s return to Gaza impossible. The difficult conditions in Gaza following Operation Protective Edge combined with significant Egyptian moves, are an obstruction to Hamas (creating a security buffer zone on the Egyptian side of the border with Sinai and Rafah, closing the border crossing and destroying houses in Rafah, and the Egyptian regime’s desire to eradicate Hamas), the PA’s refusal to transfer funds to Hamas, and the freeze on financial aid from the Arab states earmarked for reconstruction are on the one hand weakening Hamas’s ability to govern Gaza, and on the other hand leading to public criticism and anger in the Gaza Strip. The discourse in the social media in the Gaza Strip paints a grim picture: Gaza is like a boiling pot waiting to explode and is sometimes compared to a grenade with the pin pulled out. 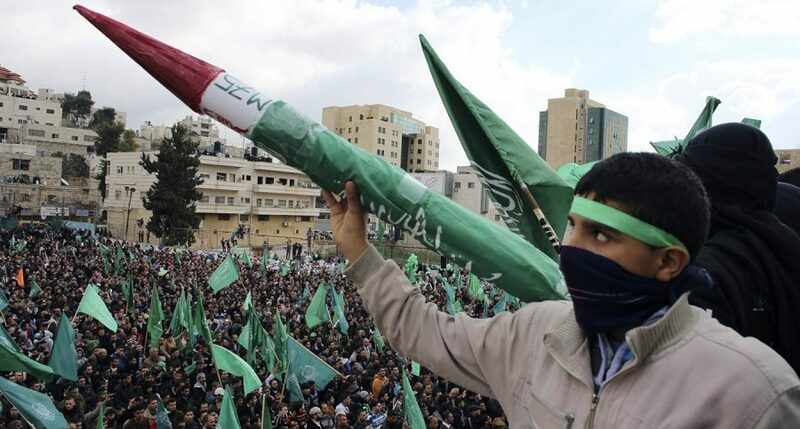 Therefore, although Hamas does not want a war, it is in trouble and again finds itself on the slippery slope at the end of which it might opt for a frontal clash with Israel to extricate itself from its organizational disarray and public criticism in Gaza. The Northern Front: A Zero Sum Game Hezbollah’s agenda consists of three main challenges, and a direct confrontation with Israel is not one of them. These are: 1) Presidential vacuum: Since May 2014, there has been no president in Lebanon. As such, Hezbollah is entangled in talks with the Tayyar al-Mustaqbal political movement meant to formulate agreements that will create a lasting formula for the presidency while ensuring the organization’s status in the country. 2) Hezbollah is trying to block and eradicate the growth of Sunni radicalism led by Jabhat al-Nusra and ISIS within Lebanon. 3) The Syrian front: The war Hezbollah is waging in Syria to defend Bashar al-Assad’s regime and weaken its opponents demands a great deal of investment of resources, both manpower and weapons, and this is taking a military and political toll. In the fifth year since the outbreak of the Syrian civil war, Hezbollah is facing a fundamental strategic dilemma. The rebels, led by Jabhat al-Nusra, have dug themselves into the Syrian Golan Heights southwards from Quneitra, while Hezbollah has grown more dominant in the north. The rebels’ advance northwards, toward Damascus and the Syrian-Lebanese border, is a strategic threat to Assad’s regime and the Iran-Syria-Hezbollah axis. It is critical to stop the rebels’ advance and distance them from the areas in which they’ve become entrenched. A military action together with the Quds Forces of Iran’s Revolutionary Guards has already begun in the Daraa Province. Israel, observing the Iranian-assisted entrenchment of Hezbollah infrastructures in the Golan Heights, is worried. Hezbollah’s territorial control of the Golan is liable to represent a threat to Israel. If it thinks the threat is concrete, the probability rises that Israel will act to foil it. If Hezbollah acts to realize its ambition to consolidate its power in the Golan Heights, it might be on a collision course with Israel. Despite their inherent geographical and strategic differences, neither the northern front nor the southern one is interested in escalation. By contrast, one could say that, in both cases, regional developments, especially the rise of Radical Islamic movements [The Islamic State and Al-Nusra Front], are creating a chain reaction whose ripples affect both fronts and indirectly undermine the stability of the arenas of conflict between Israel and its neighbors. The Ansar Bait al-Maqdis organization operates in Sinai against the Egyptian regime in an attempt to undermine it, partly through connections with Hamas in Gaza, as attributed by the Egyptians. An escalation in the group’s operations, and countermoves by the Egyptian regime, including ramping up the pressure on Hamas in Gaza, are liable to cause an explosion in the Gaza Strip that would be directed against Israel. The presence of Jabhat al-Nusra forces in the Golan Heights represents a danger to the interests of Hezbollah and Assad’s regime in their sphere of influence south of Damascus and Beirut, and a countermove by Hezbollah is liable to result in a confrontation between the organization and Israel. Both scenarios – a clash between Israel and Hamas in Gaza and one between Israel and Hezbollah in southern Syria – seem possible in the foreseeable future. Only a change in the strategic reality in Gaza and southern Syria, as the result of a political initiative, a change in the regional balance of power, or any other major shift, may be able to divert the players off their collision course.